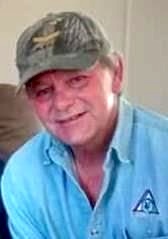 Daniel “Danny” Ray Mingus, Sr.
Daniel Ray Mingus Sr., 62, of Kansas City, Kansas passed away at home on Saturday, April 22, 2017. He will forever be remembered as a devoted husband, loving father, grandfather, brother, uncle and friend to everyone he met. Danny was born on March 31, 1955 in Kansas City, Kansas to Ned Leroy and Waneta Bell (Dougan) Mingus. He worked all throughout his teens while attending Olathe High School. Danny was very much an outdoors man and his favorite hobbies included; fishing, boating, camping, gardening, physical fitness, rock concerts (specifically Ted Nugent making him go deaf), having a beer, BBQ’s and family picnics. He was well traveled and loved to talk about jumping box cars back in the 70’s with his uncle Jack. They would ride them all the way to the east and west coast. Danny lived in Denver, Colorado for a time. He would talk of skiing the mountains and the infamous, Orange Crush. He moved back to Kansas City, Kansas and after a short while he met Kelly Salyer. Eventually they were married on August 22, 1987. Through this union their son Daniel Jr. was born on August 9, 1988. Danny was the best father and husband that he knew, how to be. He loved his family and he knew that he himself was loved in return. He was best at being a grandpa to Riley, and the bond between them was very special. Danny is preceded in death by his parents, Ned and Waneta Mingus. He is survived by his son, Daniel Ray Mingus Jr. and his partner, Jessica of Olathe, Kansas and one daughter, Crystal Allen of Raymore, Missouri. Left behind to cherish his memory is his loving granddaughter, Riley Grace Belle Mingus. He will be sadly missed by his two brothers, Randy Mingus and his wife Penny, Mark Mingus and his sister, Vickie Lindsey. Danny is also survived by the mother of his son, Kelly Mingus. He was loved by many and will be deeply missed. Danny will be cremated according to his wishes. A private memorial service will take place at a later date. In lieu of flowers memorial contributions in Daniels name can be made to: The American Heart Association 6800 93rd Street Overland Park, Kansas 66212.